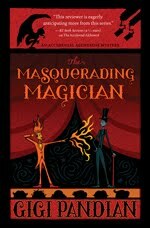 I'm home from the Left Coast Crime mystery convention in Santa Fe, New Mexico. I only brought my point-and-shoot camera, so initially I wasn't thinking I'd post any photos from Santa Fe. 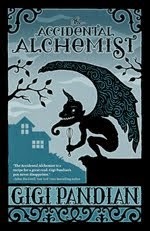 But then I remembered my own advice that the camera itself is much less important than what you see through the lens. And I did see some very cool things in Santa Fe. 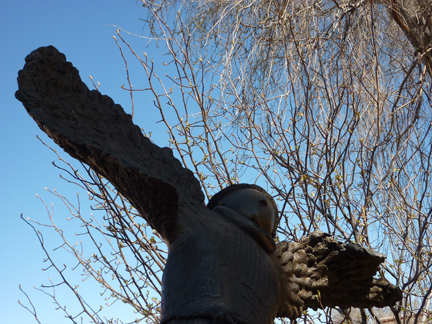 Angel sculptures along the waterfront of the Santa Fe River. 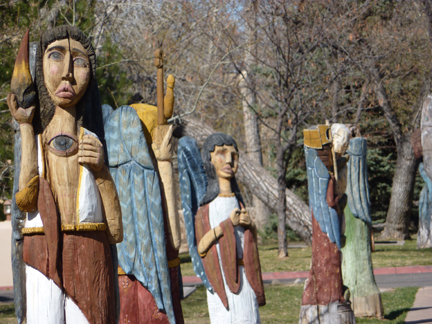 A sculpture in front of the St. Francis Cathedral in Santa Fe. 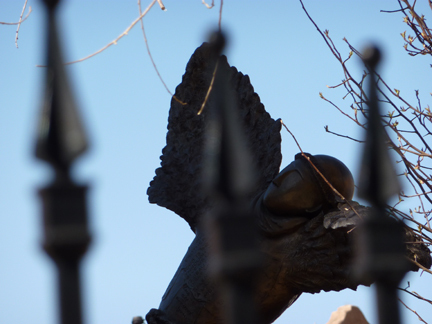 A different angle of the same angel sculpture in front of the St. Francis Cathedral in Santa Fe. 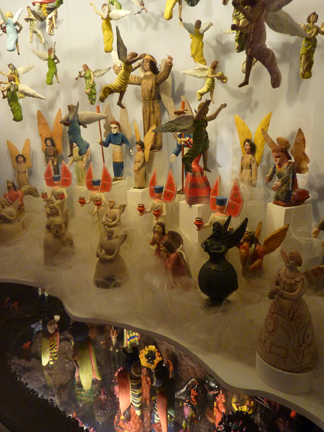 A depiction of heaven and hell inside the Santa Fe Folk Art Museum. I used to know a very wise woman, a former teacher of mine, who I would swear had an extra eye in the middle of her chest, just like that angel in your first photo. She always seemed to see with her heart.